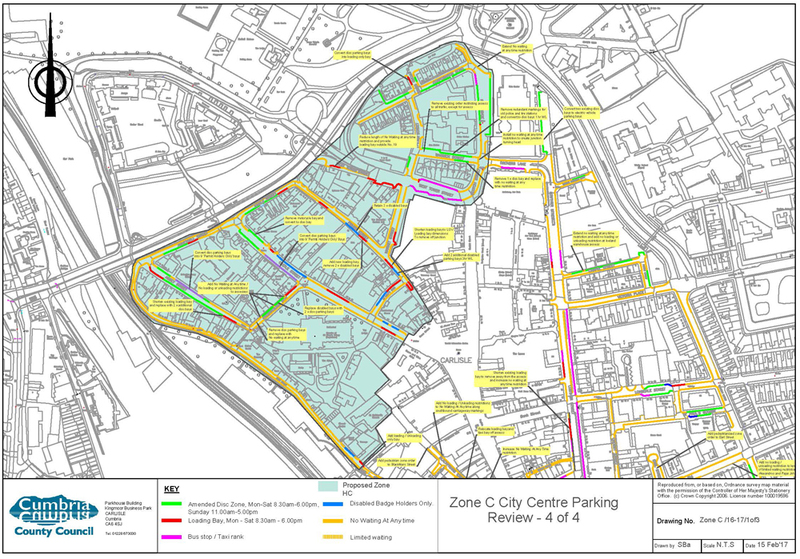 As part of a requirement to ensure parking zones remain up to date and to provide a best fit for all users, Cumbria County Council is reviewing the parking restrictions currently operating in Zone C. This review takes into account representations that have been received from residents and businesses in the area. This consultation is very much a starting point for this review and we are seeking your views and thoughts. You will be given the opportunity to comment on the finalised proposals prior to submission for approval by local committee. 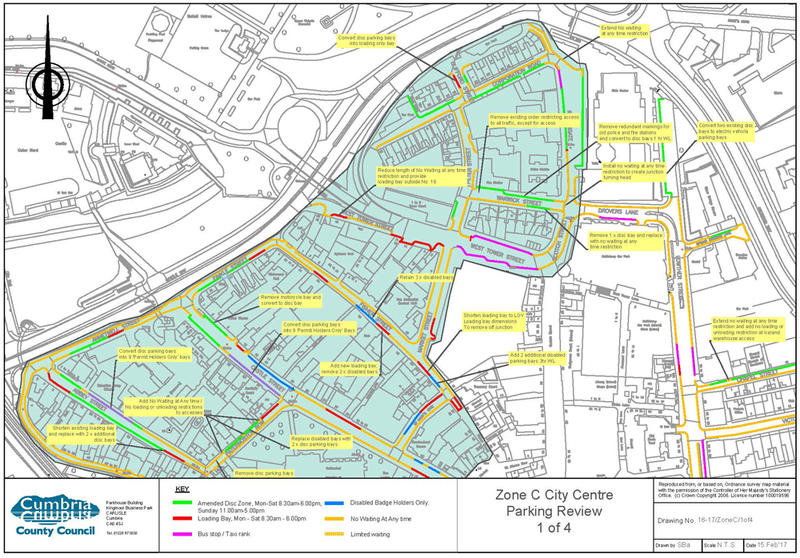 Cumbria County Council is undertaking a review of the Zone C parking area. The zone has been in place for almost 20 years and we are aiming to ensure the zone is still fit for purpose. A number of recommended proposals were subject to a feedback review which ran from 15th October 2016 to 15th November 2016. The feedback received from this review has been used to inform the proposals detailed below. The majority of shops in the city centre are open on a Sunday and demand for parking spaces is high, currently there are no restrictions on Sunday allowing vehicles to park all day. This causes difficulties for residents as if they move their cars they can struggle to find a parking space in the vicinity of their home for the remainder of the day. 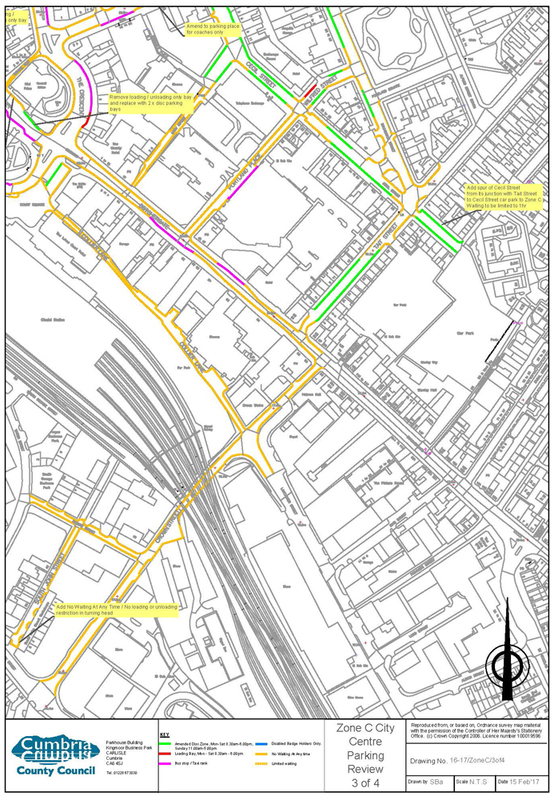 In the adjacent Zone B restrictions are in operation until 8.00pm to allow for parking to visit restaurants and entertainment venues and to reduce the impact this can have on turnover of spaces and the ability of residents to park. Parts of Zone C are on the same street or close by these longer restrictions increasing the pressure on the 6.00pm parking bays. 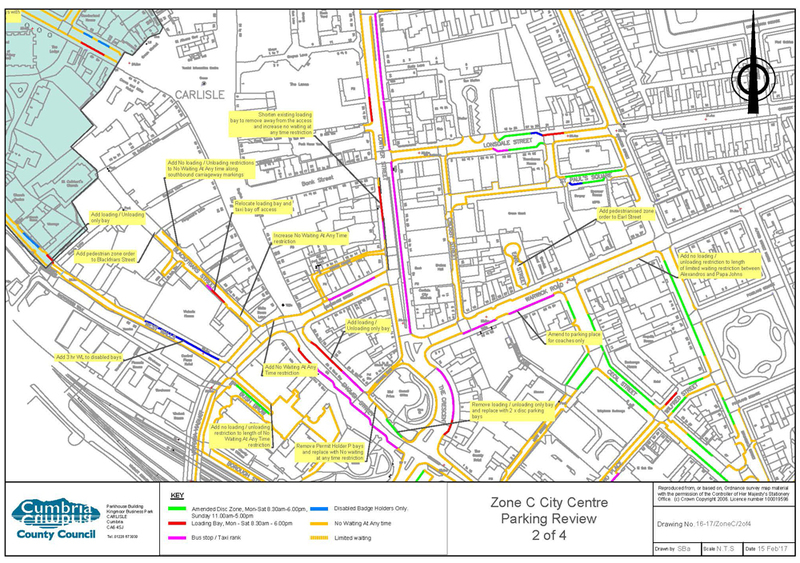 There are also a number of restaurants and entertainment venues within Zone C which put pressure on the early evening parking. Since the zone was implemented, a restricted parking zone has been introduced in the historic core area to reduce the visual impact of signs and lines. Observations have suggested that the disabled bays in the historic core tend not to be well used before 10.00am and after 4.00pm. It has been suggested that these could be utilised in this quieter time by residents and other users as disc parking. INVESTIGATIONS SUGGEST WE SHOULD BE CONSIDERING THE FOLLOWING POINTS AND WE WOULD LIKE YOUR THOUGHTS AND VIEWS ON THESE. 5. To provide 'dual purpose' bays in the historic quarter - this would allow restricted bays (e.g. disabled or loading only) to be used by permit holders outside of the restriction times. 7. Provide nine ‘Permit Holders Only’ parking bays on both Castle Street and Abbey Street respectively. All of the feedback received will be analysed and a report will be prepared for the Carlisle Local Committee to review the responses. Any objections will be refenced in the formal consultation which will take place later in 2017.